My parents didn’t realize I had an eye problem when i was young, and assumed I was mentally slow. I would sit six inches from the TV set to watch cartoons, and I would be yelled at to move far back, yet a short while later I would be back nose to the screen, but that was not a clue for them. I recall being in a car when I was quite young and upon hearing a plane asked where it was. My parents pointed out the window and said, “Right there!” I couldn’t see it. “Where” I asked, and they again pointed to a spot in the sky I saw nothing i n and said, “right there.” I asked again and again with them becoming exasperated to the point of yelling “right there!” I never saw it, although I heard it clearly. Not till I was 6 years of age did I get an eye exam at the suggestion of my schoolteacher. The exam showed that my eyes were very poor and I was prescribed very thick and heavy glasses that magnified my eyes. I was amazed when I put them on for the first time that my mother had freckles. With glasses I began to see like other people did. I could feel myself being drawn into the visual world, becoming engaged in it and feeling part of daily events. The moment I took my glasses off, however, I was back in the world I had experienced from birth. Without glasses the world was removed from what most people relate to as “daily life.” It felt as if I was sitting back watching from a distance, with a much wider more inclusive perspective. I could see misty shapes fly through the air of various sizes and density. I was initially amazed that no one else could see them, but once I put my glasses on they were much harder to see. I would often remove my glasses to watch these misty shapes move around and through the large dense shapes I knew to be people. I later learned that the glow and colours around people were called auras, but I saw many more things move through the air. These were remarkably different from the emotions that I could discern move through people. It took me many years to learn to understand what these things were and as most people never saw them, never to talk about them. Whenever I did talk about that I saw it would make people feel either frightened or uncomfortable, while many just would dismiss me as being weird or delusional. I knew though that I was walking in two worlds: the daily visual world with my glasses, and another world of shapes and energies without my glasses. Walking in two worlds made me a somewhat awkward child. I could see what most people saw, but reacted to things that they were not aware of. I could sense that many people came to the same conclusion as my parents that there was something mentally “off” with me. I didn’t fit in. I probably would have been an extremely alienated child except for the fact that the moment I was put in front of people to talk about anything, I was totally at home. 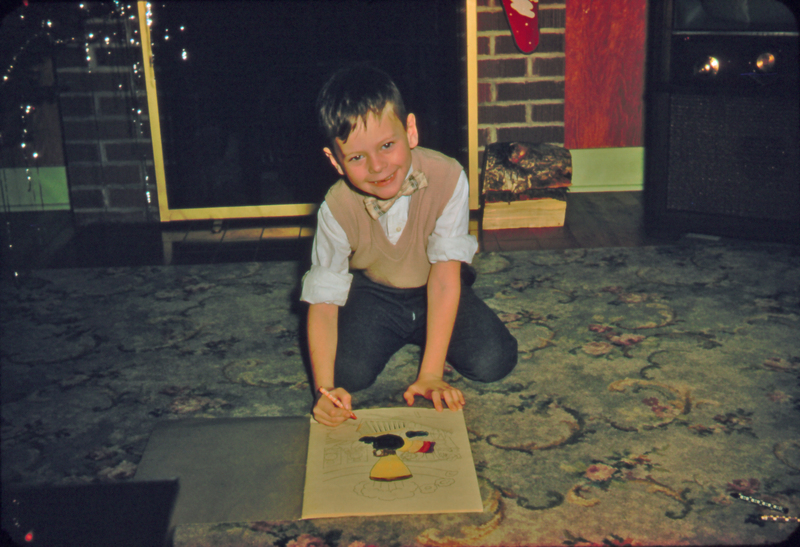 Even at 7 or 8 years old, I would transform into a bold, precocious storyteller sitting on the teacher’s desk, launching into fantastic tales. I would “read” my audience, watch their inner selves react to my words and tailor my talk to their reactions. I learned that if I mentally projected my stories into the room, they were far more effective. Students and teachers would be all spellbound by whatever I was talking about, and I would always take much longer than other students, entrancing my audience before the teachers would gather their wits and bring my talk to a close. This was all automatic for me, being well trained in my dysfunctional family to choose the words that would garner safer emotions in my listeners. I did not consciously realize how different the world I was living in was and the power of what I was doing to live in it. I was just a child trying to find a place in the social world of school.